If your mental image of ‘Jolly Old England’ and the rest of the United Kingdom is mostly full of stuffy royals, bland food and cow pastures, you’re missing out on the stunningly colorful, joyfully wacky bigger picture. 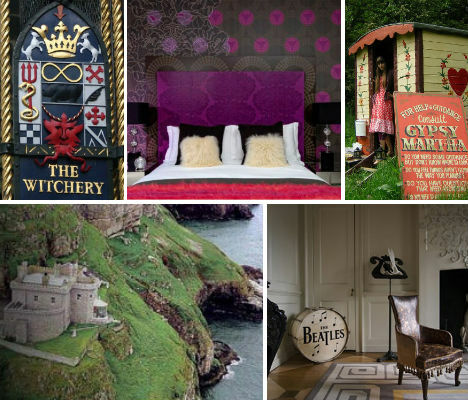 In addition to its plentiful, richly varied points of interest and cultural traditions, the UK is packed with fun, hip, stylish and bizarre places to stay, from freewheeling gypsy camps to castles that will please fans of a certain boy wizard. These 15 hotels, bed & breakfasts and vacation rentals include glitzy high-fashion boutique hotels, goofy tourist traps and a few hidden gems. 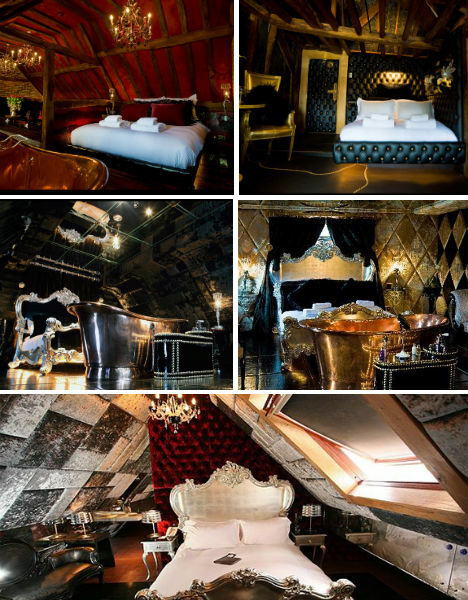 If over-the-top glamor and luxury is your bag, the Crazy Bear Hotel chain is where you should stay when visiting England. Fur-lined, gold-plated, chandelier-laden rooms are just the beginning; others have leather floors, mirror-tiled ceilings and tall brass bathtubs right beside the bed. Some might say they ride the line between outrageously fun and gaudy, but they’re certainly a unique experience. The Beaconsfield location is unapologetically wild in a very conservative town, located in an unassuming 15th-century building on a 60-acre farm 20 minutes from the town of Oxford and 45 minutes from London. Describing itself as a “fashion rock n’ roll hotel’, Hyde Park’s Pavilion has no qualms bragging about its many celebrity guests on its website, who have included supermodels like Karen Elson, bands like Duran Duran and Hollywood royalty like Leonardo DiCaprio. 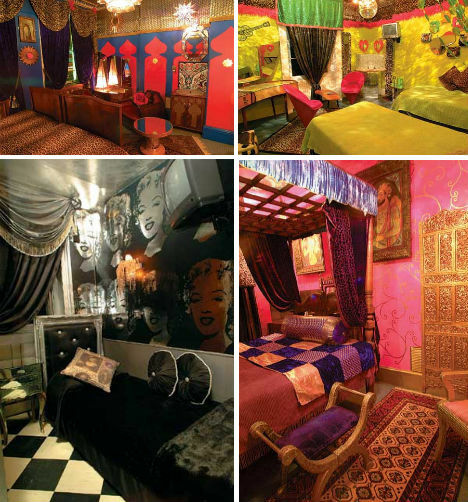 Even with its out-there themed rooms like Casablanca Nights and Honky Tonk Afro, the most amazing thing about this chic London hotel is its prices, which start at just under U.S. $100. The hotel is owned by a young brother-and-sister team who dreamed up all 30 rooms and regularly rent them out for high-profile photo shoots. Got visions of Hogwarts dancing in your head? 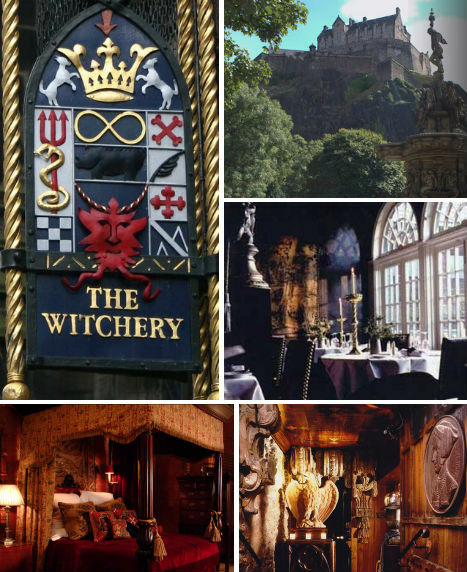 While there are any number of old castles converted to hotels in Great Britain, none have interiors quite as magical as those at the appropriately named ‘Witchery’ in Edinburgh. Popular with celebrities and wildly in demand, The Witchery by the Castle is as well known for its richly decorated, theatrically baroque suites as for its critically acclaimed restaurant. Book far in advance to enjoy one of the hotel’s 8 guest suites which feature ornate drapery, renaissance-style paintings, Victorian baths, fireplaces and even hidden rooms. 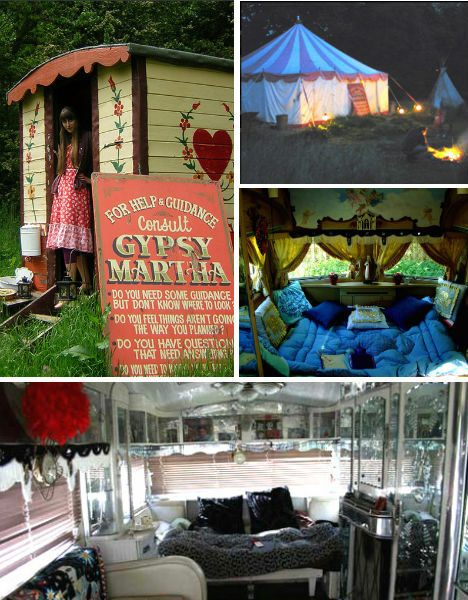 If you’re a free spirit with a sense of adventure, England’s got you covered with a number of gypsy caravan hotels including ‘La Rosa Campsite Extraordinaire’, where visitors can stay in recycled, reclaimed lodgings like gypsy wagons and circus tents. Paying tribute to the beauty and environmental sensitivity of its setting, the North Yorkshire Moors National Park, the camp uses only candles and fairy lights at night and has limited facilities like composting toilets and showers in a converted byre. “We like to hope that being green does not mean you can’t be comfy, have a laugh or eat chocolate cake,” say the owners on their website. 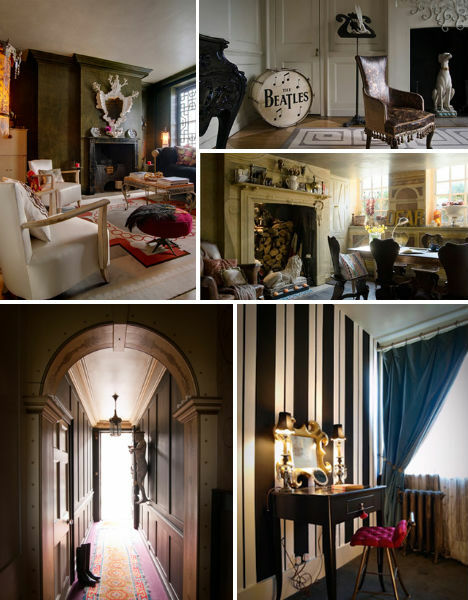 Internationally acclaimed interior designer David Carter’s London home has long been a favored site for photo shoots, but Carter still felt as if this space, in a 1717 Queen Anne townhouse, was underutilized. So the designer decided to open two little-used guest rooms to photographers, stylists, art directors, designers, buyers, models and others in the entertainment industry who need an affordable place to crash while working in London. Like a boutique hotel without the staff, 40 Winks is a home away from home. 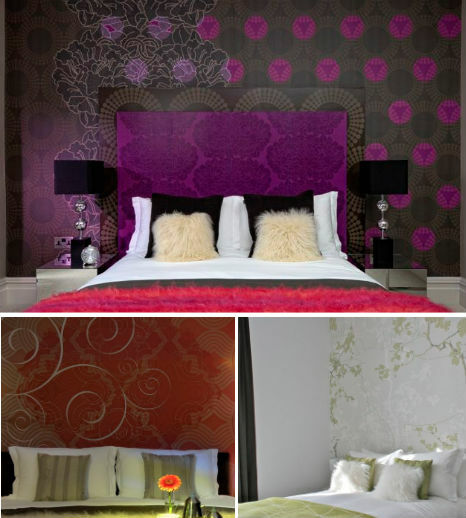 Cute and modern, the Hotel Fronlas is located in the Brecon Beacons National Park in Cardiff, Wales. The owners, Eva and Owain Huw, are passionate about sustainability and have crafted their boutique hotel with careful thought for the environment as well as aesthetics and comfort. Powered with 100% green electricity with solar panels that heat up its water, the Fronlas also has organic linens and fresh flowers, and serves local organic cuisine. 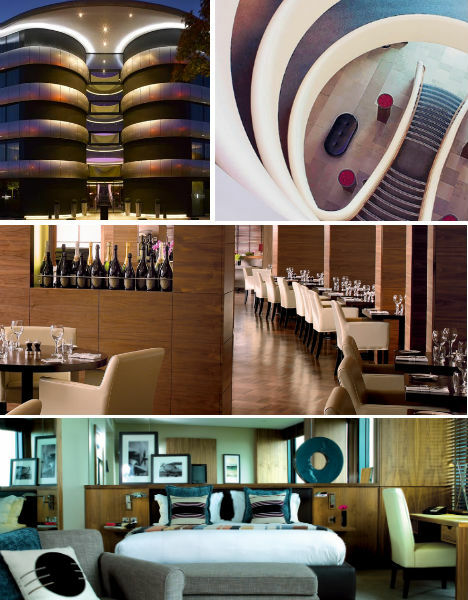 Built in the shape of an airplane propeller, the Aviator Hotel, located at the TAG Farnborough Airport, is not kitsch but rather sleek, elegant and businesslike. The simplicity of the hotel’s design, inspired by the minimalist aesthetics of aviation, is fitting for lodgings that primarily cater to corporate clients. Eschewing the tackiness that can come with a ‘theme’, the Aviator chooses a subtler route with lots of white and old photographs of antique aircraft. 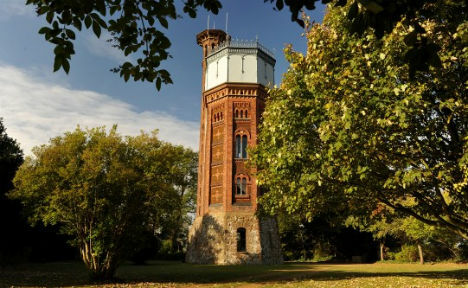 Stay in a historic water tower, the Appleton of Norfolk, which was built in 1877 with the foundation stone laid by the Princess of Wales. You can have its rooms, including the glass-walled terrace at the top, all to yourself, enjoying open fires in the fireplaces. You can even bring your dog. For 125 years – as recently as 1996 – guests at the Oxford Castle weren’t there voluntarily. They were prisoners. Today, travelers pay good money to spend the night locked between these walls. 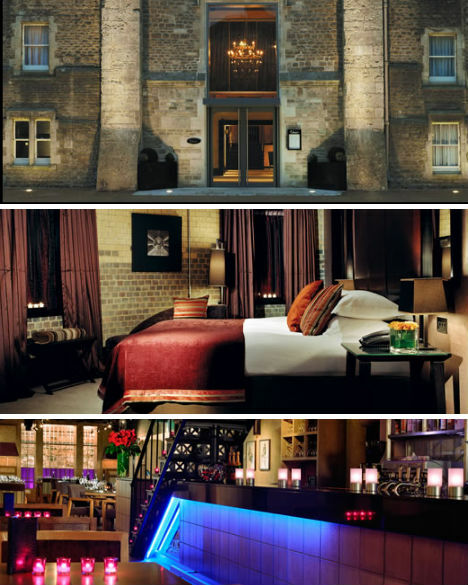 The Malmaison Oxford Castle Hotel has transformed what was once a dingy penitentiary to a luxurious boutique hotel full of plush linens and fresh-cut flowers. The hotel has retained the names of various sections including “C Wing”, where prisoners were once punished, “The Governor’s House” and the “Houses of Correction”. 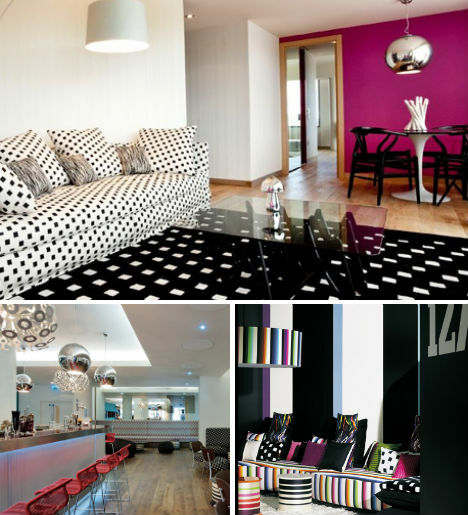 The Hotel Missoni is every bit as fashionable as you’d expect from one of Europe’s top design houses, and Missoni’s iconic patterns don’t let you forget for one moment who crafted the interiors. 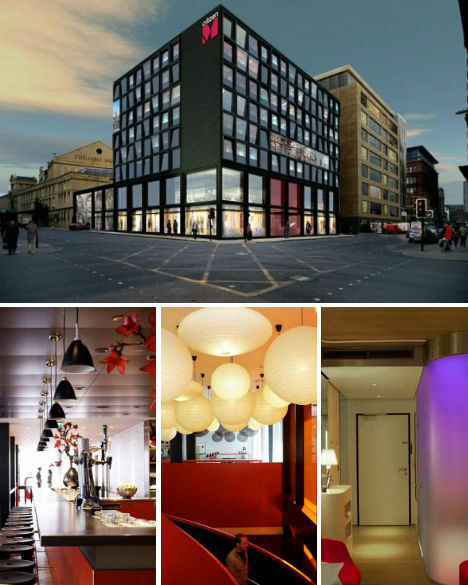 The hotel is located just off the Royal Mile in the Old Town, and the doormen will great you in Missoni-designed kilts. The views of the city from the upper suites are quite a treat. 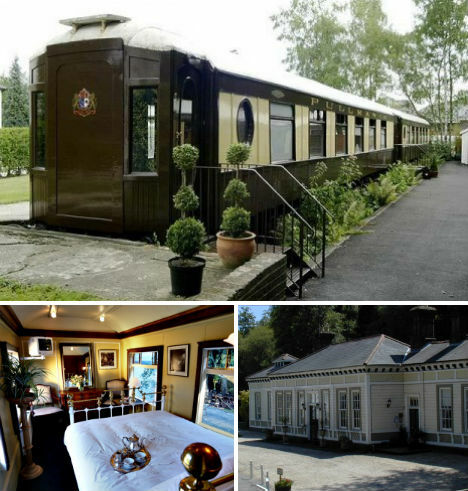 Stay in a restored Pullman carriage or a historic railway station at the Old Railway Station Hotel in West Sussex, England. The station house offers more spacious lodgings with vaulted ceilings, while the carriage rooms are a tad tighter but just as charming. Guests in Glasgow love the affordable luxury of CitizenM, which doesn’t skimp on the design details, but doesn’t cost a fortune, either. The hotel cut costs and made construction easier and more environmentally friendly by prefabricating all guest rooms, which have a futuristic feel. A red, black and white color scheme runs throughout the public areas, and large-scale works of art catch the eye in various rooms. In the spirit of ‘belonging to the locals’, CitizenM placed a large steel grate street-side which bears the record grooves to the song “I Belong to Glasgow’. 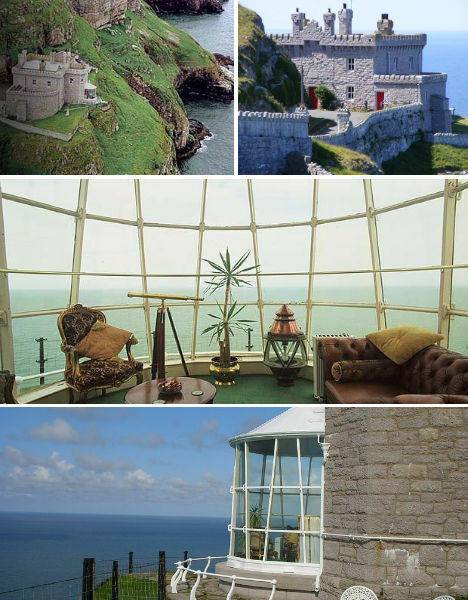 Stunningly picturesque, the Lighthouse Hotel in Llandudno offers the kind of scenery for which Wales is famous – old stone structures, emerald grass and craggy cliffs overlooking the sea. The lighthouse was built in 1862 from limestone and massive quantities of Canadian pitch pine, and was in use until 1985. Stay in the Keeper’s Hall, a dramatic nautically-themed room with pine panelling and a captain’s wheel, or the even more beautiful Lamp Room, which the optic once occupied before it was removed. It’s the epitome of cozy English Country style – dozens of feet up in the air. 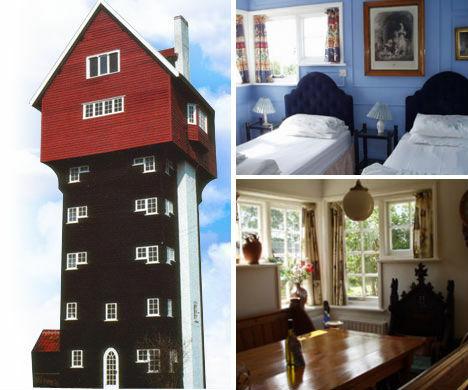 The House in the Clouds was once a plain old water tower but was remodeled into a vacation rental with what looks like a conventional farmhouse perched on the top. With 5 bedrooms, 3 baths and a high-ceilinged great room overlooking the Thorpeness Golf Course, this rental is perfect for families and large groups.